And so the time is nigh, the beginning of the end. After much anticipation, Shadowhunters is finally back on TV with twelve final episodes. 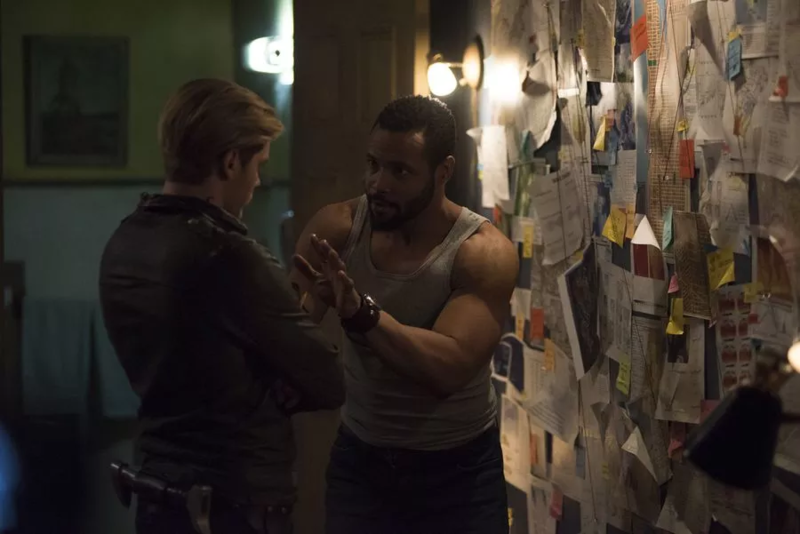 Starting with a recap to remind us of what happened almost nine months ago, it’s almost scary how despite not knowing that 3B would be its last, the Shadowhunters team has unwittingly created twelve devastating, gut-wrenching, and emotional episodes… at least if this first episode was anything to go by. So what exactly happened in Shadowhunters’ final mid-season premiere? The aftermath of Clary’s death. We as the audience are extremely lucky to be granted the omnipresent knowledge that Clary (Kat McNamara) is in fact very much alive, despite being trapped with a psycho of a brother. However, everyone else still thinks that she’s dead and this episode delves into how each character is dealing with this fact. The consensus: not very well. Suicidal Jace: Poor Jace (Dominic Sherwood) is understandably traumatized and distraught. Having just lost the love of his life, he’s acting super reckless on hunts and, as we saw in the promo, actually threw himself into a warlock’s spear. Without something to ground him and pull him back (I mean, usually Clary has that job), Jace is struggling to work through his emotions. And I’m sure having flashbacks from his time as The Owl probably doesn’t help things. Thankfully, Izzy (Emeraude Toubia) and Alec (Matthew Daddario) were able to talk him down from the ledge… metaphorically speaking… for now. 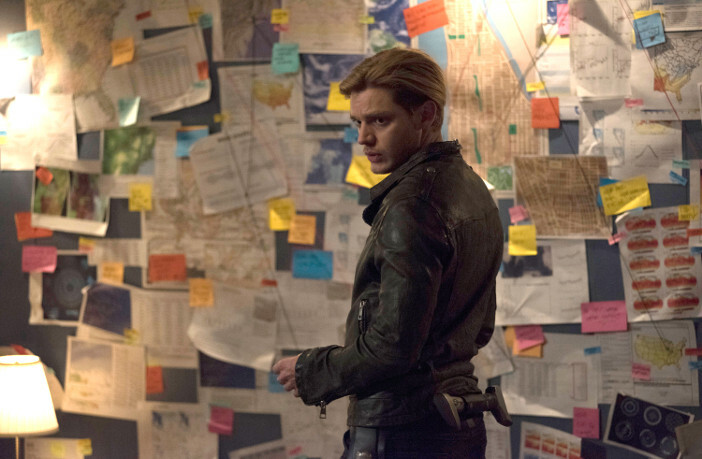 Obsessive Luke: While Jace was on his suicidal warpath, Luke, on the other hand, had thrown himself into this wild conspiracy theory that Clary isn’t actually dead. I mean, he’s not wrong. But the detective crazy wall is a bit much isn’t it? I guess I’ll give poor Luke (Isaiah Mustafa) a pass though since his ‘daughter’ did just disappear into thin air. Guilt-ridden Simon: As if there wasn’t enough “it’s my fault that Clary’s gone” syndrome going around, the writers reminded us that despite not working out romantically, Simon (Alberto Rosende) and Clary are still best friends. So it’s only natural that Simon is feeling extremely guilty, and, as a result, has isolated himself in his apartment. Not even Maia (Alisha Wainwright) – who’s back, by the way – could manage to pull him out of his self-created bubble. Also, did anyone else sense some awkwardness and tension in the air? We already know that Sizzy will eventually happen, but we couldn’t just have a few episodes of Saia? It’s clearly evident though that when Simon decides to finally leave his apartment in search of a vampire, Maia would no longer stay by his side. Ok, so she did have a valid excuse, but there was definitely a disconnect between the two former lovebirds. Magnus Magic No More: While the former three men are grieving a tragic loss, our dear Magnus (Harry Shum, Jr.) is working through something just as traumatic and shocking. We know that having magic is a strong identifier for Magnus. So to suddenly have it ripped from him in the mid-season finale, well, you can’t blame the guy for feeling just a tad bit useless. But bless Alec’s (Matt Daddario) heart. 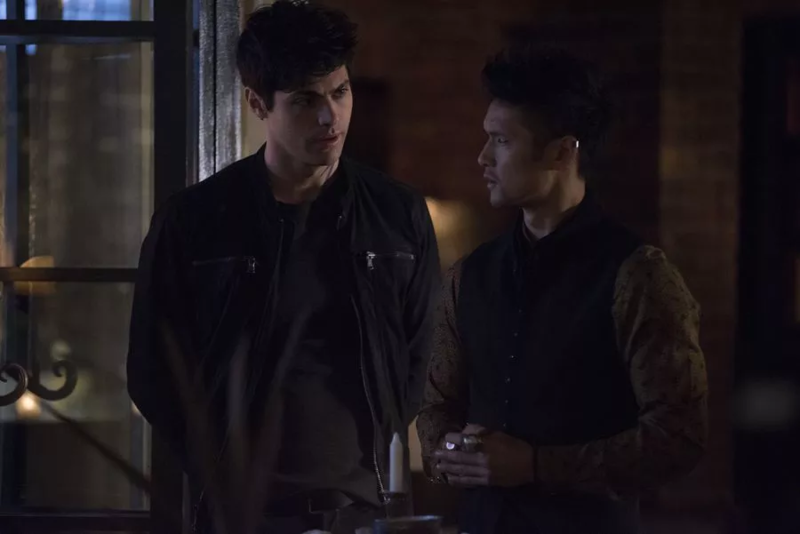 Being the absolute sweetheart that he is, Alec stood by his boyfriend every step of the way. From affectionately reminding him that he doesn’t need eyeliner to look attractive to rushing to save him when Magnus gets kidnapped by Iris Rouse (Stephanice Belding), Alec is really going out of his way to win ‘boyfriend of the year’ this season. Now since I watch way too much TV than is socially acceptable, there’s a pit in my stomach knowing that Magnus’ loss of magic will inevitably spell trouble for Malec. Meanwhile, Shadowhunters writers also reminded us that being alive didn’t necessarily mean being well. Clary’s in her own kind of hell-hole as she tries to escape her psycho of a brother, Jonathan (Luke Baines,) who now has this weird fixation on being her older brother. Too bad, they’re now apparently bonded. Like as in truly bonded. How do we know this? Well, let’s just say Clary tried to kill Jonathan and it didn’t go quite as planned. What an episode! It was definitely worth waiting for and we can’t wait to see what’s in store for the rest of the season. With such an amazing first episode and all of the hype from the cast and crew, the Shadowhunters family is ready to cry, laugh, scream, and everything else in between. What was your favorite part of tonight’s episode? Let us know in the comments below! We’ll see you next Monday.